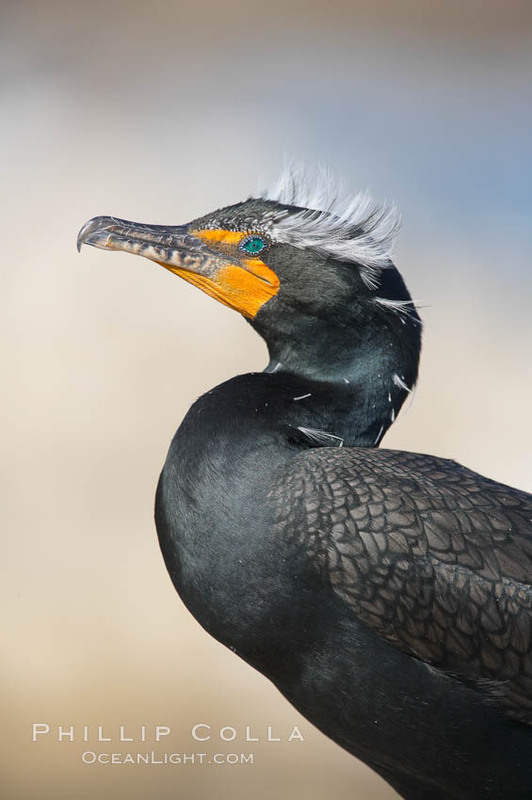 This double-crested cormorant (Phalacrocorax auritus) is displaying typical winter mating plumage. Sweet do. Double-crested cormorant (Phalacrocorax auritus), mating plumage.